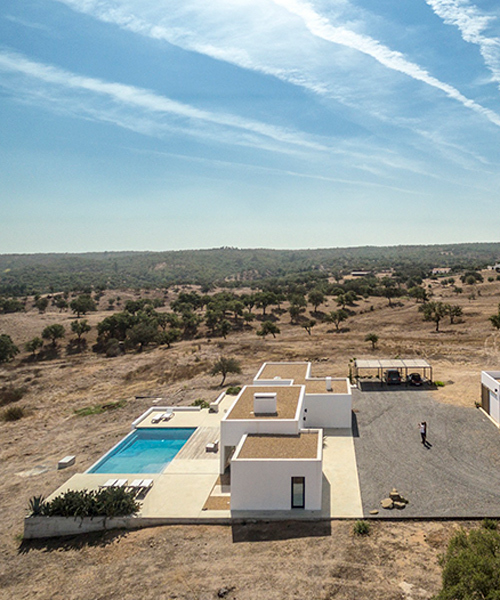 located in the vast and arid landscape of grândola, portugal, this private residence is created from a composition of parallelepiped, stark white volumes that play a vivid contrast against the blue sky. 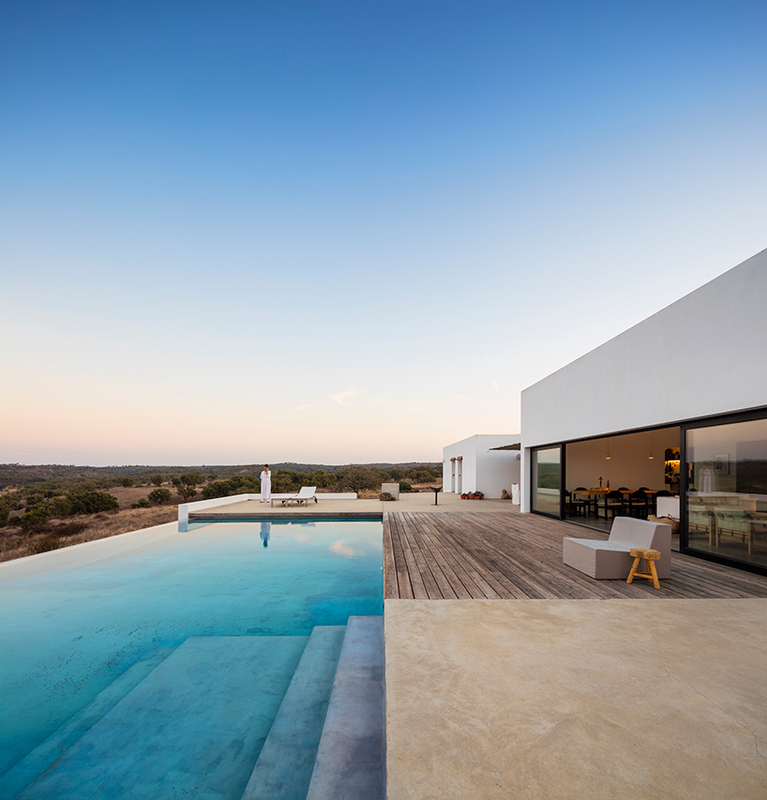 the exterior is the result of a purposeful misalignment that enables the property — photographed here by fernando guerra — to wrap around a large patio area with an infinity pool. 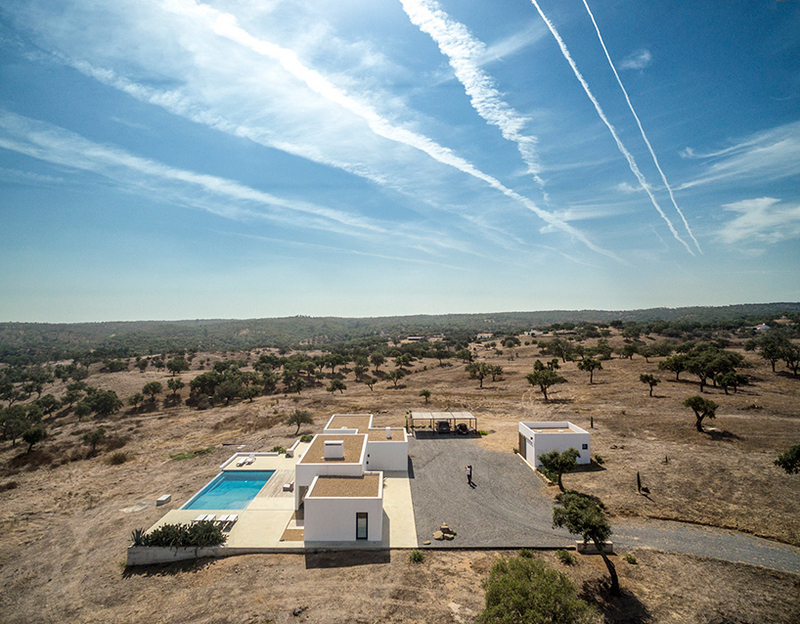 designed by colectivarquitectura, the dwelling takes advantage of its peaceful and isolated location to allow the programs to spread out with the calculated positioning of openings that frame the landscape. 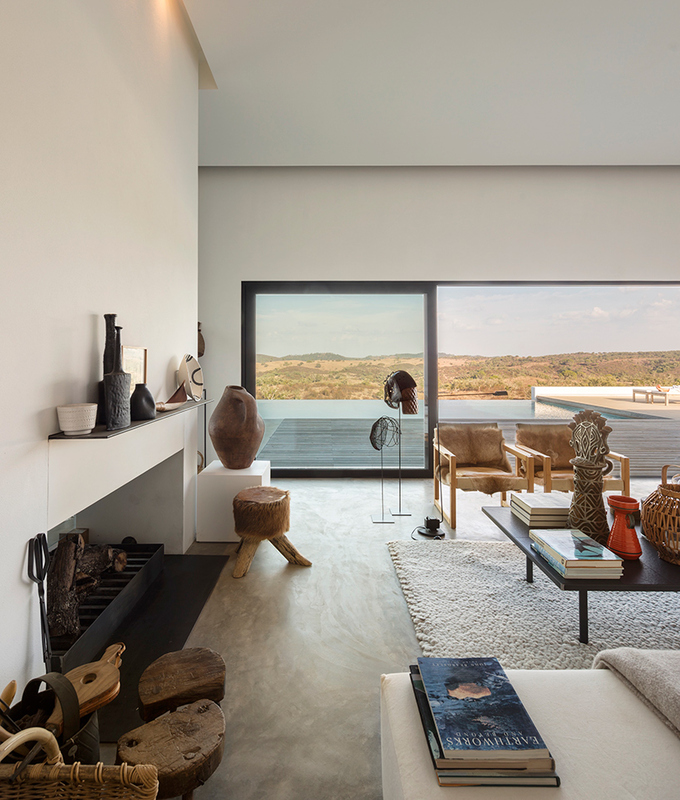 the height of each room is different –the kitchen, living and bedrooms– are reinforced by the vertical marking of the fireplace. the layout of the house is organized with an entrance on the west wing. 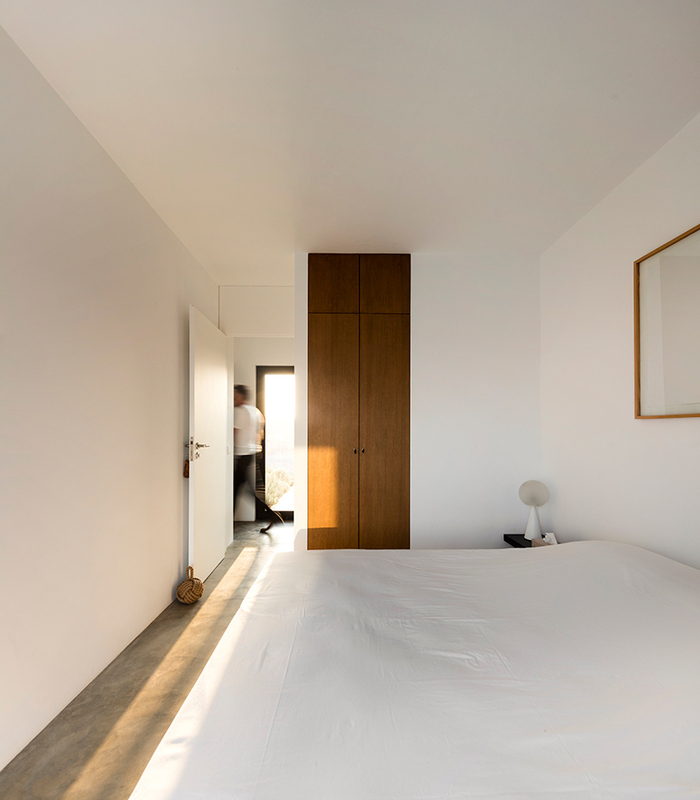 the corridor leads to the master bedroom and ensuite, followed by the living room, kitchen and finally a volume hosting two other ensuite rooms. 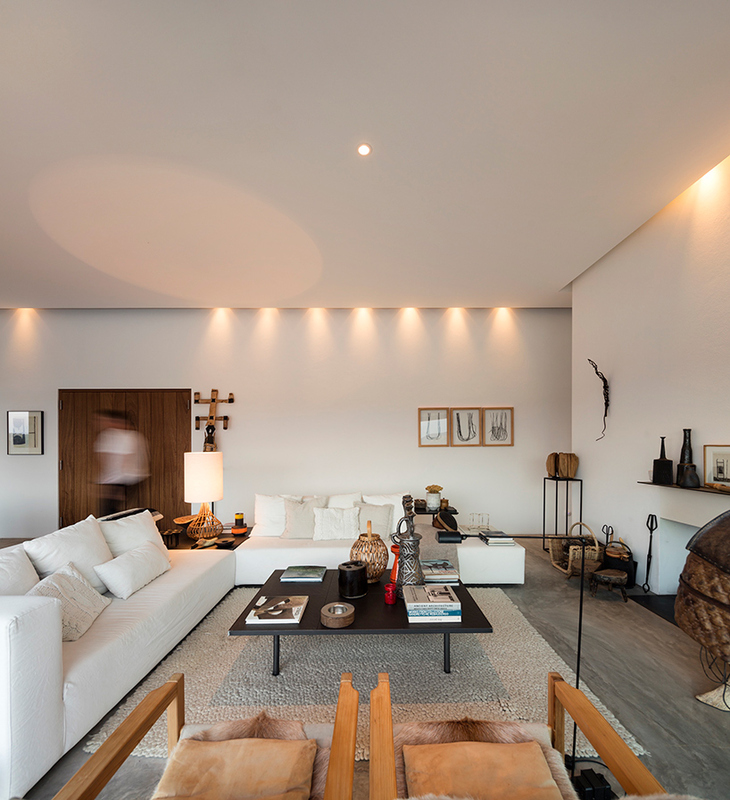 white walls, wooden floors and collected pieces of decoration fill the interior that is illuminated by natural light and highlighted by soft artificial lighting from the dropped ceiling. 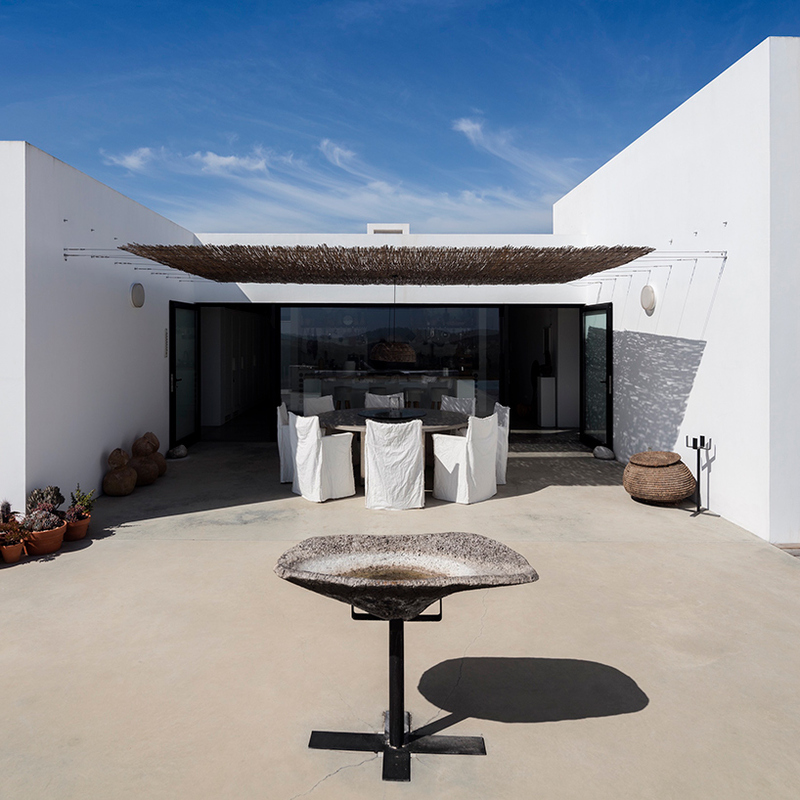 sliding doors from the kitchen open up to the smaller terrace for dining that is shaded by a overhanging thatch canopy, while the living room seamlessly flows onto the expansive pool that has been sunken into the decked terrace. 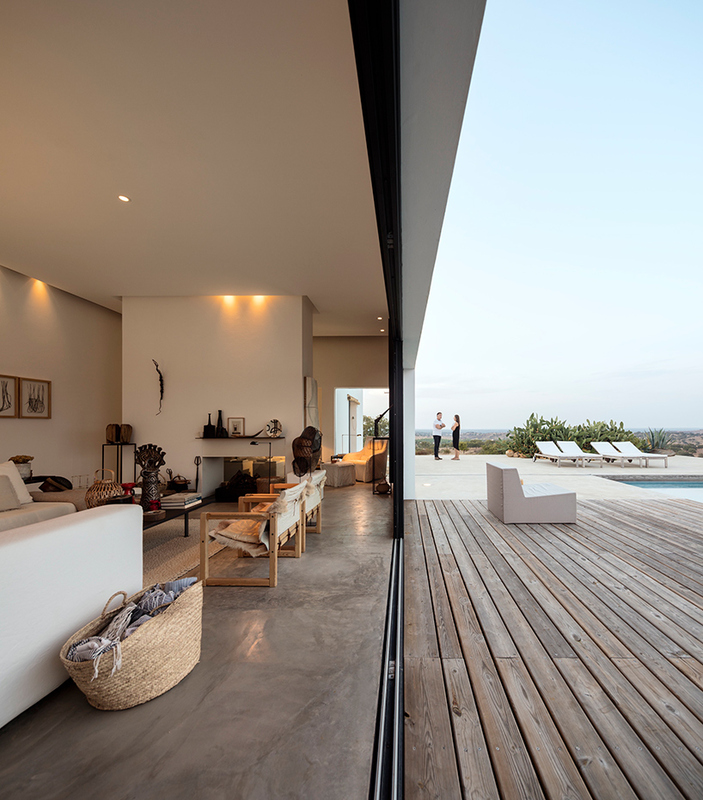 coupled with clean lines and minimal openings, the home conveys a modern and monolithic expression that is complemented with light filled spaces to create connections to the distinctive landscape. 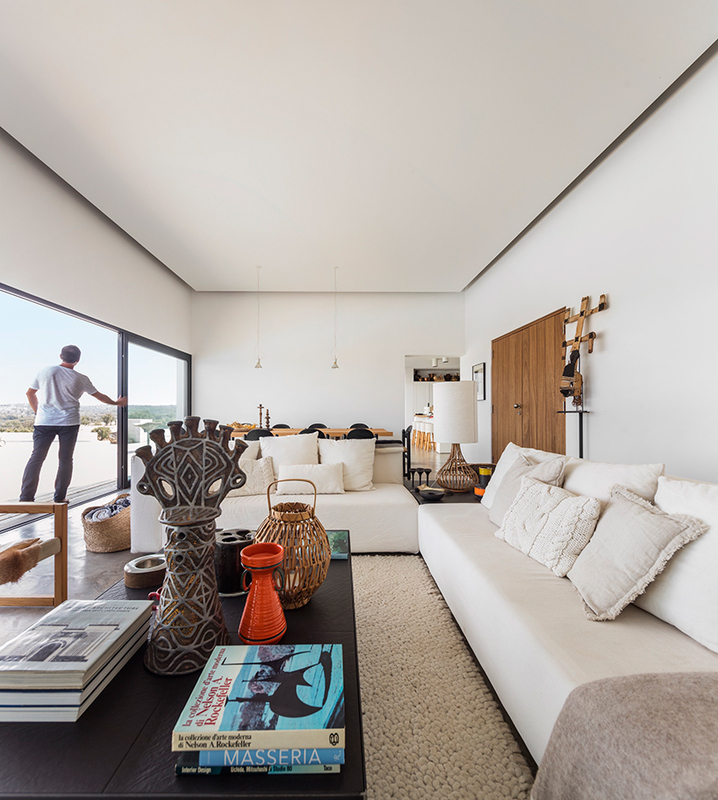 see more architecture and homes from portugal here.